Saint Luke Studio recently received the blessing of Mr. Vladislav Andrejev, Master Iconographer and founder of the Prosopon School of Iconology, to conduct formal classes for beginning students on the local level, as an affiliate instructor of the Prosopon School of Iconology. Saint Luke Studio offers classes in iconography in egg tempera using natural mineral pigments in a twenty-two step process. The classes are designed to guide the beginner student through the entire icon writing process, from start to finish. For others interested in attending to receive help completing unfinished icons, or to work on more advanced level subjects, classes are offered Wednesday through Friday, or other days by appointment. In these classes you will write an icon in the Russian-Byzantine style, using egg tempera, natural mineral pigments, 24k gold leaf, on natural gesso board. Other skills taught are the mixing of bole and tempera, handling gold leaf, various tools, the nature and properties of the pigments, mixing paints, making shell gold, the olifa step and more. Short lectures on the symbolism of the elements of icons are also given. 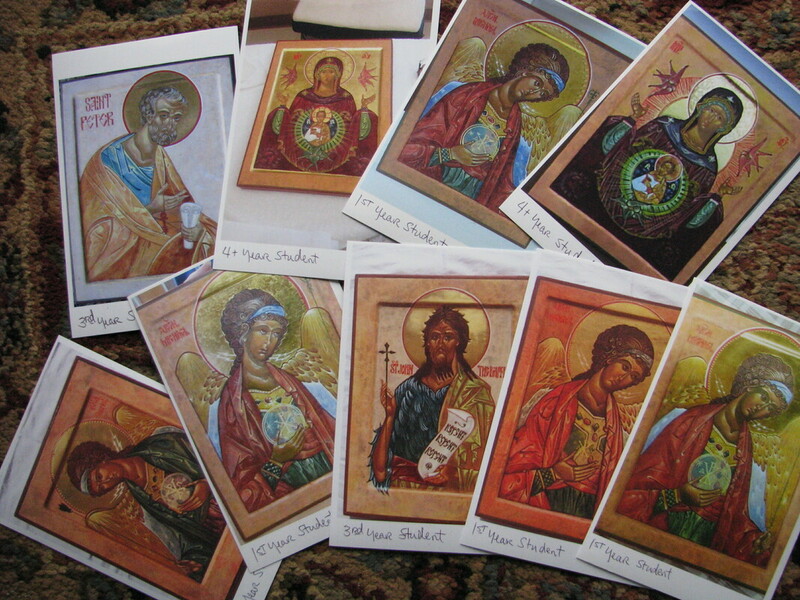 Contemplation and silence are always an integral part of the icon writing process as well. For questions or for more information, give me a call at 225-252-3090. Copyright © Christine Daunis. All Rights Reserved.